Sweet greetings to everyone on #RasagolaDibasa. 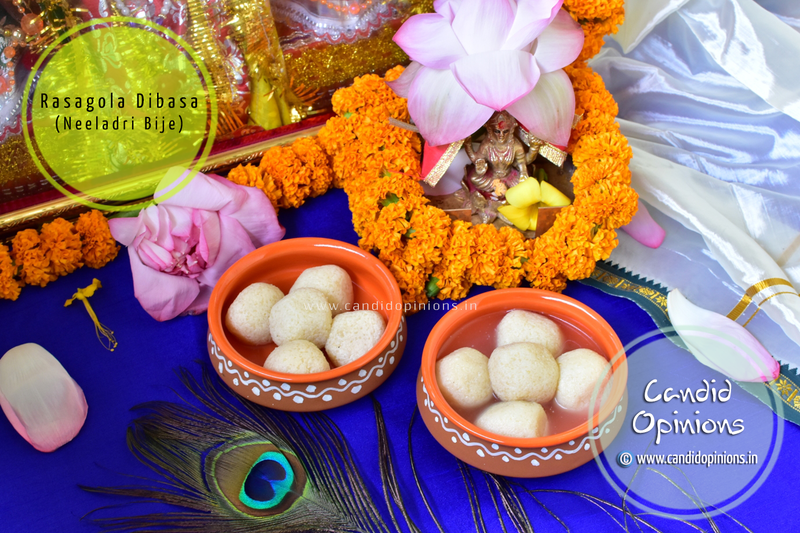 It has been a ritual in the Puri Jagannath temple since ages to offer Rasagolas to Goddess Laxmi on the day of Niladri Bije (the day on which the deities - Lord Jagannath along with his brother Balabhadra and sister Subhadra - are given a warm ceremonial reception as they return back to their abode - the Shri Mandir after concluding their Rath Yatra). The legend goes that Goddess Laxmi remains grumpy and aggrieved all through the nine day Ratha Yatra festival. She remains miffed with her husband that He didn't take her along, she feels like being snubbed by him. 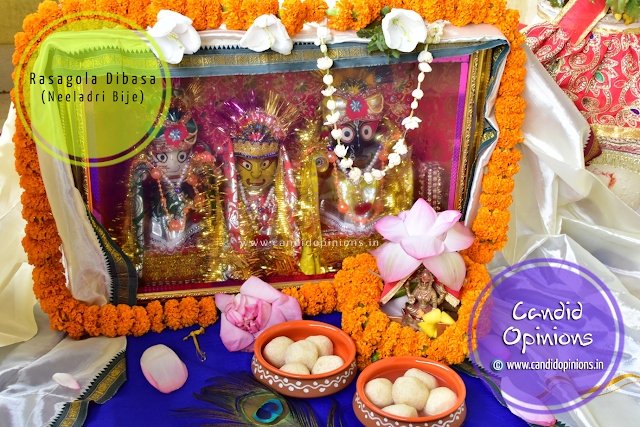 After the Bahuda Jatra (or the return journey of Lord Jagannath and His siblings), on the day of #NiladriBije, while Goddess Laxmi allows Lord Balabhadra and Devi Subhadra to return to the "Ratna Sinhasan" or "Ratna Bedi" - the bejeweled throne or pedestal on which the deities are seated - but just as Lord Jagannath is about to enter the Shri Mandira, the maid servants of Goddess Laxmi slam shut the Lion's-gate (Singha-dwara) and do not let Him to enter the temple. When all efforts to placate his angry wife fail, Lord Jagannatha then prepares and offers her Rasagola to appease her and thus was born the sweet meat - Rasagola (which is now popularly known as Rasgulla). 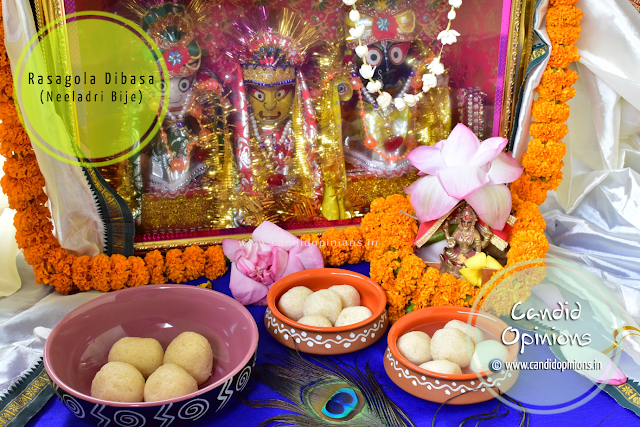 This tradition of offering rasagolas to Maa Laxmi on the day of Niladri Bije has remained associated with the temple and the Jagannath cult since ages and finds a mention in the "Madala Panji" - a temple scripture that chronicles the various customs and rituals associated with the temple as well as in other similar temple annals. 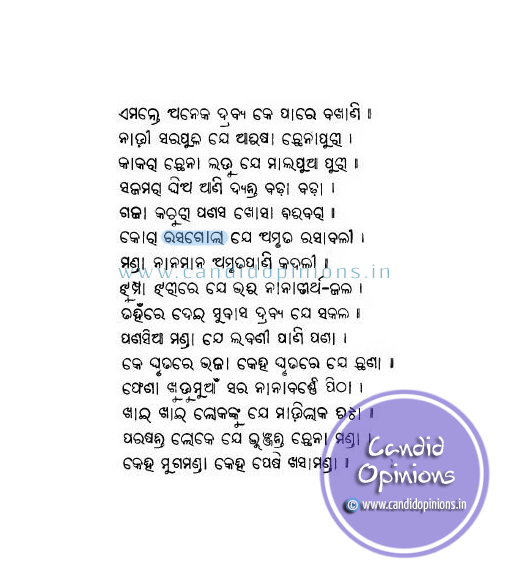 It is also mentioned in Balram Das's 16th century book - "Dandi Ramayana" in the "Ayodha Kanda" chapter. So to commemorate this custom of offering Rasagolas to Goddess Laxmi on Niladri Bije, Odias the world over have been celebrating the occasion as Rasagola Dibasa. 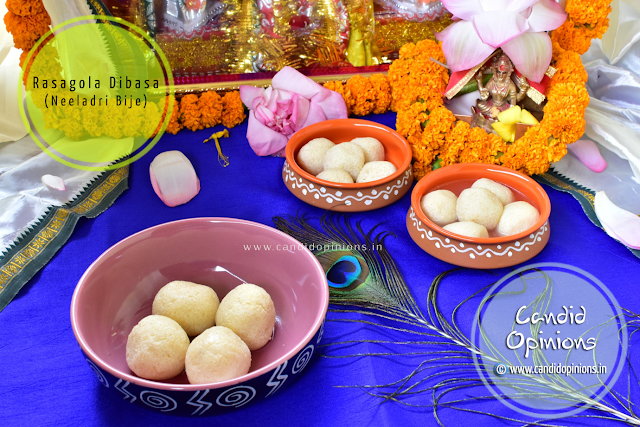 Niladri Bije is observed on the tithi of "Shukla Pakhya Triyodashi" in the month of "Ashadha" to welcome the deities back to the Shri Mandir after their Rath Yatra and thus with it, concludes the chariot festival. Niladri Bije also commemorates Prabhu Jagannath's installation in the Shri Mandir because co-incidentally on this very day, Lord Brahma had installed Him in the Puri temple. P.S. 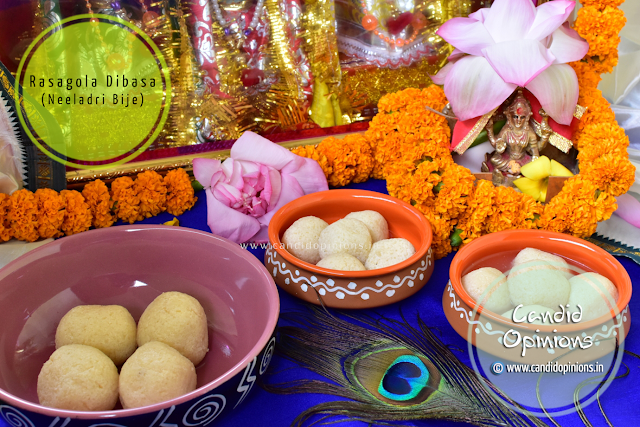 - "tithi" denotes a lunar day in Vedic timekeeping.